Book a guided tour to the historic center of San Remo, taking advantage of the years of experience of the knowledgeable Nyala Wonder Travel tourist guides. Enjoy the charming La Pigna area, as well as other notable tourist attractions in the City of Flowers and in nearby locations. Calvino and San Remo: La Pigna of San Remo, dear to the writer Italo Calvino, to this day retains the charm of a medieval village, and allows the more attentive visitor to discover a seldom seen part of San Remo, made up of little winding streets, steps, archways and quiet and secluded little piazzas. 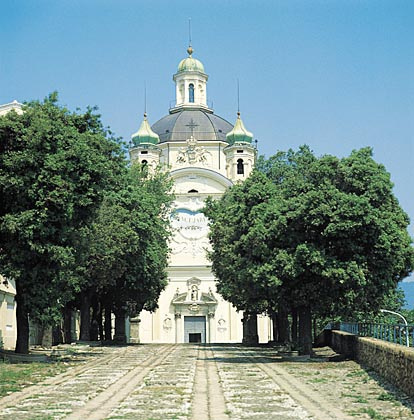 Led by an experienced guide, you can stroll along the carrugi, the alleyways leading to the summit with the Sanctuary of the Madonna della Costa at the top, retracing the pages of the many stories by the famous author. Bussana Vecchia, a village almost entirely destroyed by the earthquake of 1891, has recently become an international tourist attraction, thanks to the community of artists who have settled there since the sixties. The village is not accessible by coach, but a scenic mule track allows easy access. The historic center of Coldirodi is equally delightful – this is a village in the hills of San Remo, with its little piazza dating from the baroque era, and its interesting art gallery housed in an old period villa.